The LetterMeister word puzzle game published on this site is now free to download for a limited period, reduced from the regular price of $1.99 Take advantage to download your copy now! 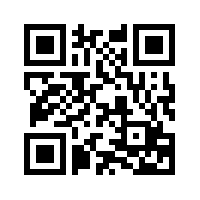 If you have a QR Code reader for iPhone, then scan the image to the right. Else search for LetterMeister in the App Store for more information. The desktop version is also available for Windows, Linux and Mac OS.